Be Known for Something : Discover Your Church Communication Thread / Communication Strategy / Convert Your Message. Please! 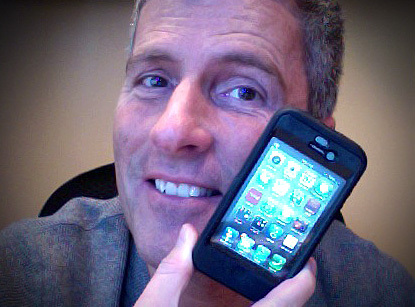 I bought an iPhone 4S this weekend (with 3 million others). I was excited to get it setup. I plugged it into iTunes and hit “setup new phone”. It was a new phone. The other option of “restore a phone from backup” went un-clicked. I wasn’t restoring anything. Don’t misunderstand. The phone works perfectly. I have my songs, apps and mail accounts; as promised. The content was correct. Except, what I received wasn’t personalized. I lost my passwords, game totals, extras, etc. I should’ve touched the “restore” option. New Habits: The average person (especially Gen Y) doesn’t listen anymore to what “you” think about something, unless you relate it “what’s in it for them”. Time is Limited: They also have a very limited attention span. Think 30 second commercials and 2 min YouTube videos. If you only deliver “raw” data and information, without telling people how to “use” it, or “benefit” from it, they are more likely to tune you out. On average, people don’t spend time figuring out an “application” anymore. It sounds like a “technicality”. You’re delivering the message well now, right? Except, like touching the wrong button during the sync process, people won’t get it correctly. For me, and my iPhone, it’s too late. For you? It’s as easy as a simple conversion. Start this week!